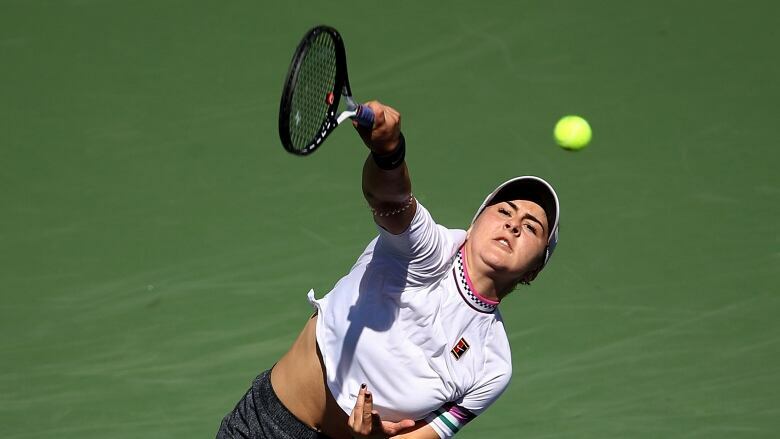 With all the insouciant freedom of the new kid on the block, 18-year-old Bianca Andreescu has become the best story of all during a great run for Canadians at the BNP Paribas Open. On an afternoon when three Canadians were playing at the same time on different courts, the native of Mississauga, Ont., recorded her most impressive win of the tournament. 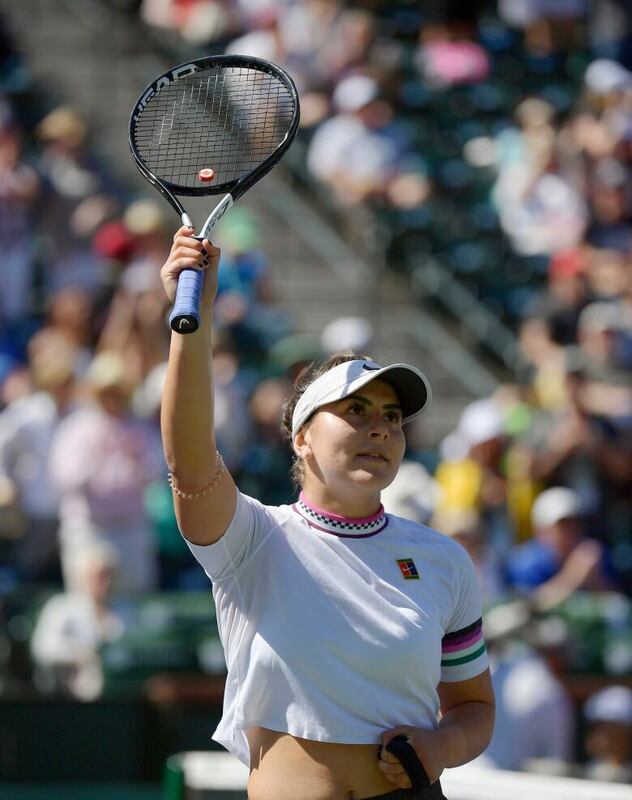 In just 52 minutes on Wednesday, she dismantled two-time Grand Slam champion Garbine Muguruza of Spain 6-0, 6-1 to move into Friday's women's singles semifinals. Muguruza, the No. 20 seed and world No. 1 just 18 months ago, needed more than 40 minutes just to get on the scoreboard as Andreescu raced to a 6-0, 3-0 lead. "I had a good day. She didn't have such a good day. I felt she was holding back a lot, and I felt it, so I just kept putting pressure. She just kept missing. So I'm just really happy," Andreescu said. The Canadian, who started the year ranked 152nd, surged into the top 50 with her win in the previous round over No. 18 seed Wang Qiang. With this victory, she vaults into the top 40. In the semifinal, Andreescu will face the winner of a match Wednesday evening between No. 6 seed Elina Svitolina of Ukraine and another rising teenager, 19-year-old left-hander Marketa Vondrousova of the Czech Republic. If she can win that, she'd have an excellent chance of going from being a wild-card entry in Indian Wells to one of the 32 seeds at the Miami Open next week. "I have watched them play many, many times. I played juniors with Marketa. And Svitolina has had an incredible run," said Andreescu, who is 26-3 on the 2019 season. "I'm just gonna study their match and then hopefully have another good day on Friday." As Andreescu was dominating on the main stadium court, No. 13 seed Milos Raonic of Thornhill, Ont., was quietly making his way past unseeded German Jan-Lennard Struff 6-4, 6-3 to reach the men's singles quarter-finals. Struff had upset his German countryman Alexander Zverev, the No. 3 seed, earlier in the tournament. 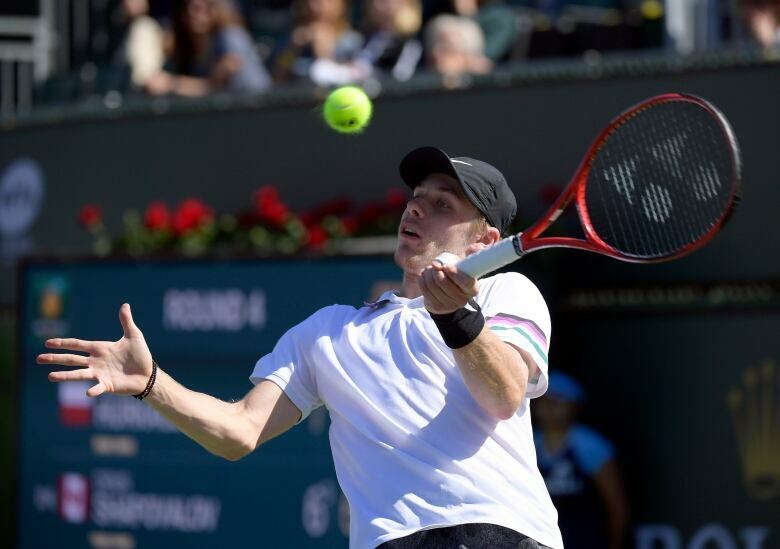 However, 19-year-old Denis Shapovalov couldn't make it a Canadian sweep. The No. 24 seed from Richmond Hill, Ont., said he brought his "C" game on a day Hubert Hurkacz stood firm. The unseeded 22-year-old from Poland defeated Shapovalov 7-6 (3), 2-6, 6-3. "I just don't think I played well today. I played a little bit tight, a little bit stupid. Just wasn't able to convert when I wanted to. So just one of those days," Shapovalov said. 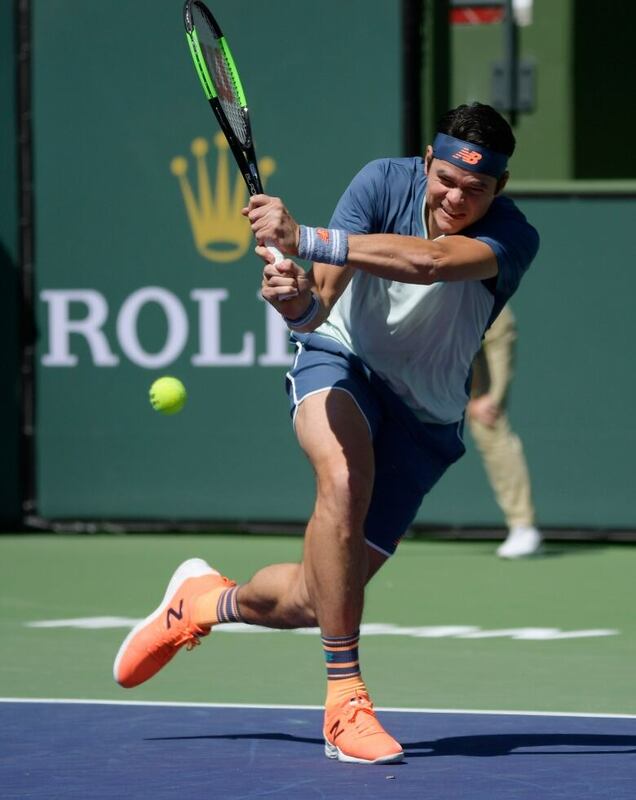 For Raonic, who has reached at least the quarter-finals in his last five appearances in the desert, it was about improving on the things he felt he hadn't done well in a first-round loss to Struff in his last tournament, in Dubai. "I think there were things I really disliked about the way I went about in that match that I wanted to change. I don't think I was extra pumped, per se, but I definitely was a lot more diligent about the way I went about things," Raonic said. The three Canadians followed each other into the press conference room Wednesday : first Andreescu, then Shapovalov, and then Raonic. Andreescu was the last Canadian to start her match — and the first to finish. The matches all started within about 20 minutes of each other. "I saw that score actually on a changeover in my match. I'm, like, 'No way.' I know she's good, but love and one? She destroyed her," Shapovalov said of Andreescu's big win. "I'm happy for her. I just saw her (on the way into the press conference). Congratulated her." Earlier in the week, Shapovalov pointed to his younger years, when he and Felix Auger-Aliassime watched Raonic play Davis Cup and were inspired. "Incredible honour, especially with the massive potential that the two of them have," Raonic said. He pointed to the fact that he had a player to compete with in Canada of the same generation in Vasek Pospisil. And now Shapovalov and Auger-Aliassime have each other. "I think that kind of constant national competition made them strive and try to make the most of things. And I think that's a big part of the reason the success has been on such a big ascent over the last few years," he said. Raonic will play lucky loser Miomir Kecmanovic of Serbia in a Thursday quarter-final. Another Canadian, Ottawa's Gabriela Dabrowski, will team up with Chinese partner Yifan Xu to play their women's doubles semifinal Thursday. Next week, Andreescu, Shapovalov and Raonic will head to the Miami Open, another major tournament. Auger-Aliassime, out in the third round here, will play in the qualifying event. Eugenie Bouchard of Westmount, Que., also may have to qualify, unless there are two more withdrawals before qualifying starts early next week.